iPhone 11 news: smartphone features: Naturally, the next big step in smartphone tech will be iPhone’s flexible screen. While Samsung has seemingly got the edge on this tech, iPhone have bided their time, developing other user-friendly features and releasing the iPhone 10. 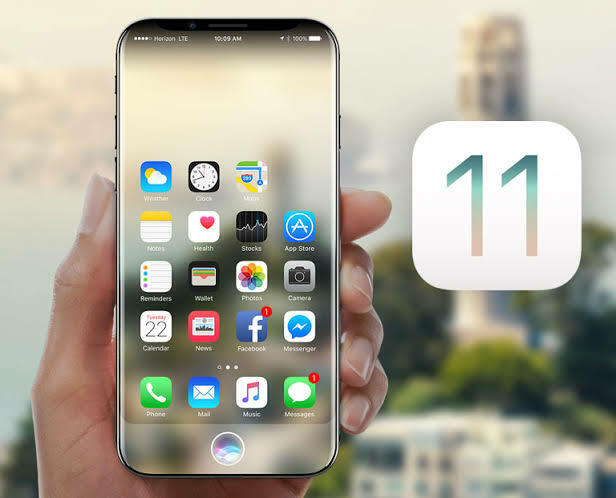 The iPhone 11 however, looks set to break all tech boundaries – and will revolutionise the iPhone user experience. It’s only just over four months ago that the iPhone Xs hit the market, but with the competitive tech industry launching flexible screens and four-lens cameras, the time has never been better to launch a groundbreaking product. According to industry insiders, Apple has filed for a number of patents over the past few weeks. Several involve folding phones and flexible screens – including one that warms up to keep your hands warm in your pocket on a cold day. A phone that heats up is nothing new for Samsung, who have, for years, been attempting to stop their overheating CPU’s. But this time, Apple has taken the idea and made it user safe and convenient as well as being part of the iPhone task. One of the cons of OLED screens has been their poor performance in lower temperatures. So Apple turned a disadvantage into a selling point by adding a minute heating element into an experimental new design to see how it pans out. It’s very likely that 5G will be featured in the iPhone 11 tech list. What is 5G? 5G is basically 4G – but taken to the next level in terms of speed and availability. However, it’s not going to be available worldwide for some time, and will only be accessible in a limited number of cities and countries until the network expands. iPhone is a little late to the party with 5G tech as a number of smartphones released and due for release in the first half of 2019, already have 5G availability. They are Samsung the Galaxy S10 5G, the Huawei Mate X, the Samsung Galaxy Fold, the LG V50 ThinQ and the Xiaomi MM3. One of the biggest rumours about the iPhone 11 is the triple camera. In theory, this should allow you to photograph subjects in 3D. Crazy as it sounds, the three lenses will allow for better depth of field and picture quality that hasn’t been seen on any smartphone yet. Even the Huawei partnership with Lieca will find this a rival to their four-lens smartphone. Security has never been more important as we hold our lives on our iPhones and smartphones. Apparently Apple thinks so too. Fingerprint ID is now standard in terms of unlocking your iPhones and Smartphones – and it is secure. But it’s also a bit old hat. It’s not really flashy or clever. It’s expected. And iPhone is known for creating the unexpected. The iPhone 11 will have a better flood illuminator, which means Face ID will be faster and more accurate than ever before. No more lags will certainly endear this feature to users. It’s very likely that the next iPhone will be released with a folding screen. Without doubt, this is the most exciting feature to be seen on the tech circuit, with Samsung having already shown off their prowess, and Huawei having released theirs too. Anything less than flexible will be seen as a bit of a disappointment. Thankfully, this unlikely scenario won’t happen because we already know that iPhone Apple has forged a deal with Samsung to supply them with their OLED flexi screens. Apple has worked well with Samsung in the past and with no sign of the legendary MicroLED screen materialising, the relationship looks set to last.